The 7 most scenic train journeys provide not only beautiful sceneries at terminus cities, but also charming views outside the trains&apos; windows on the way. Instead of seeing the same sea of clouds on an airplane, your trip is enhanced by seeing different landscapes through a train&apos;s windows. Duration: high-speed train: 6 hours approx; normal-speed train: 19 hours approx. This railway line has been in service since July 1970. It was praised by the United Nations as one of the three wonders of humanity&apos;s conquest of nature in the 20th century, along with the former Soviet Union&apos;s Sputnik 1 in 1957, and the Moon rocks brought back by the United States&apos; Apollo. 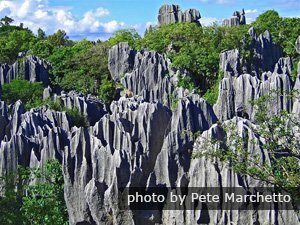 It runs through southwest China, which has 56 complex geographical regions of mountains and rivers. From Chengdu&apos;s plains area, with an altitude of about 400 meters, the train goes up to altitudes of about 2,000 meters, traveling through tunnels and across mountains. The complex geography along the railway line gives this route the name of "geological museum". 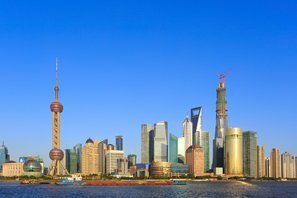 Beijing and Shanghai are two of the most popular cities for first-time travelers to China. This high-speed train route is very popular and definitely worth a ride during your China trip. It is a trip that combines some of China&apos;s main urban landscapes with cultivated countryside scenery and mountains in between. The new and modern facilities on the train ensure you have a comfortable journey. The scenery is not as spectacular as the Chengdu–Kunming route, but the thing to admire is China&apos;s infrastructure and expansive urban areas. The route gives a ground level view of the core of China along with some beautiful scenery including the agricultural areas. For this route, we suggest that you leave Beijing before noon for the best scenery. Before noon, there are 15 G class trains that depart from Beijing from 06:43 to 12:00. The fastest G1, G3, G7, G11 and G21 trains departing from Beijing (or G2, G4, G8, G10 and G22) departing from Shanghai) takes 4 hours and 28 minutes with one stop in Nanjing South. G1/G2 leaves at the ideal time of 09:00, so if you want a fast trip with the best scenery, they are the best two to take. "Fuxinghao" is the newest type of high-speed trains, with the top speed of 350 km/h. The trains are equipped with WIFI abd each seat has a power socket. 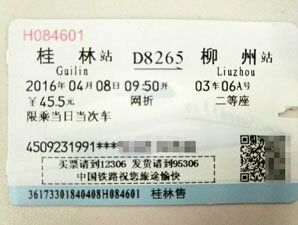 Beginning on September 21st, 2017, 7 pairs of "fuxinghao" high-speed trains will run between Beijing and Shanghai each day, taking only around four-and-a-half hours between the two cities. These are G1/G2, G3/G4, G5/G6, G7/G8, G9/G10, G13/G14, and G17/G18. 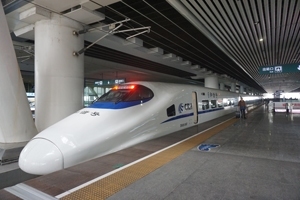 See Beijing–Shanghai High-Speed Train for the timetable, price, and transportation guide. Xi&apos;an has a long history, being the first of China&apos;s four Great Ancient Capitals. 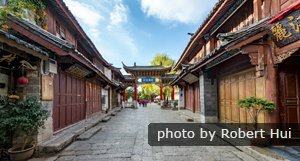 There are many historical buildings and heritages. Urumqi is the largest city in Western China, with colorful Uyghur ethnic group culture and the Silk Road culture. This is a Silk Road journey, as well as an adventure journey. It is full of Western China&apos;s scenery and delicious food on the way. You will be in the wilderness of the Gobi Desert. 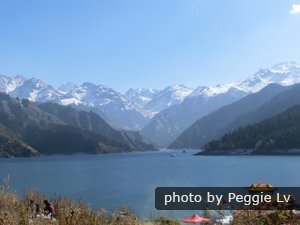 You can see snow-capped mountains from the train, and appreciate Erhai Lake&apos;s beautiful scenery. The blue sky, green mountains, and clear water form a great watercolor painting of nature. You can put on your earphones to listen to quiet music. This is a relaxing way to enjoy your vacation. This train route passes through many scenic sites in southeast China, mostly natural scenery and countryside scenery. It also passes through cities with three World Heritage sites — the Yellow Mountains (Huangshan City), Mount Wuyi (Wuyishan City), and Mount Sanqingshan (Shangrao City). Thus, it&apos;s regarded as “the most beautiful rail line” in China. The comfortable environment on the high-speed train makes this tour a more impressive one. There is a lot of beautiful scenery at the stations along the way; you can get off at one of them and enjoy your trip. 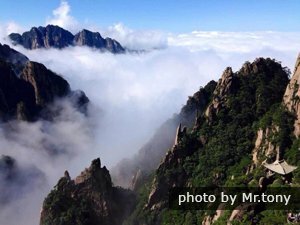 We recommend that you get off at Huangshan North for spectacular views of the Yellow Mountains. Picturesque villages, famous for quaint architecture and spring scenery, can be seen nearby. This train route is popular for travelers who want to visit Tibet — the roof of the world. It is the longest high altitude train trip in the world, and the scenery is beautiful, stark, and almost otherworldly — it is named as the “way to the sky”. Most of this route is over 4,000 meters and it goes above 5,000 meters (16,400 feet) several times. The reward of the route is to see a starkly beautiful part of the world that was almost inaccessible. Instead of city views, you&apos;ll see mostly desolate wilderness or pastures. After the train has left Xining Railway Station for about 1 hour, you can see the boundless blue lake — Qinghai Lake. The stunning views outside the train&apos;s windows will impressive you during your trip. Summer is the best time to travel by train: We recommend that you take the train in summer to enjoy better scenery and to see the native people out and about and camping alongside the train tracks with their yak herds. 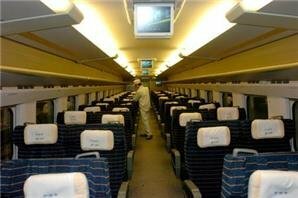 But it is very hard to get tickets on a tibet train from June to Octobet. We suggest that you book tickets on tibet trains as early as possible. Each cabin is supplied with oxygen that comes out of little vents or, if you prefer, you can insert a tube to inhale it. 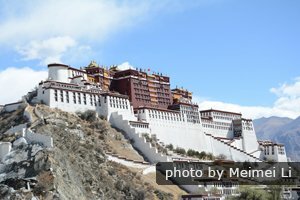 All foreign travelers are required to apply for a Tibet Entry Permit. See more detailed requirements and how to apply for the Tibet Permits for Traveling in Tibet. Read more about Tibet Trains. This railway is an extension of the Qinghai–Tibet railway, with an average altitude of 3,500 km (2,174 mi). 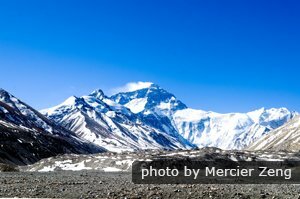 It makes Tibet travel more convenient for travelers, especially those who want to see Mount Everest, the highest mountain in the world. The train runs through the Brahmaputra Grand Canyon with magnificent views of the Brahmaputra River through the train&apos;s windows. Along the railway line, you can see local farmers and yaks. And most of the time, you can appreciate a plateau landscape of mountains and meadows.